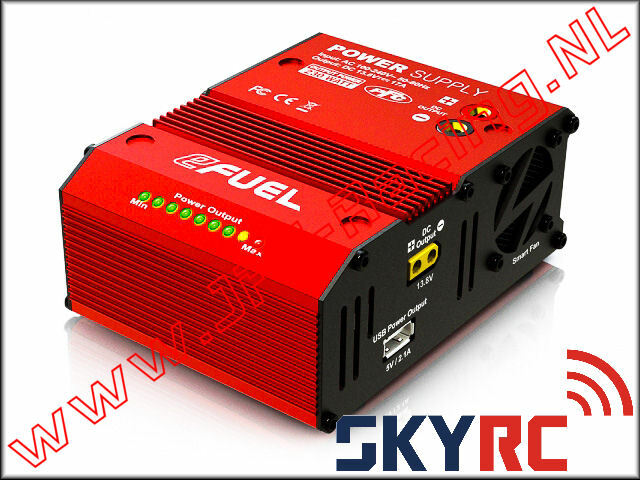 SK200017, SkyRC Power Supply eFuel 230W 17A 1st. The eFUEL can convert standard household power 100-240V AC to 13.8V DC power and supply max 17 amperes of continuous power. It delivers smooth and reliable power and it not only enables RacingStar RS16 Charger but also RacingStar RSTW Tire Warmer to dock directly without the use of messy DC cables. It can also be used with other DC devices. Power Factor Correction (PFC)allows power distribution to operate at its maximum efficiency. The preferable type of PFC is Active Power Factor Correction (Active PFC) since it provides more efficient power frequency. because active PFC uses a circuit to correct power factor, active PFC is able to generate a theoretical power factor of over 95%. Active Power Factor Correction also markedly diminishes total harmonics, automatically corrects for AC input voltage, and is capable of a full range of input voltage. There is DC output on the top of the power supply and it is designed for use with SKYRC RS16 Charger and SKYRC RSTW Tire Warmer. A pair of dual banana plugs which is used to connect the Charger/Tire Warmer and power supply are included in the package. 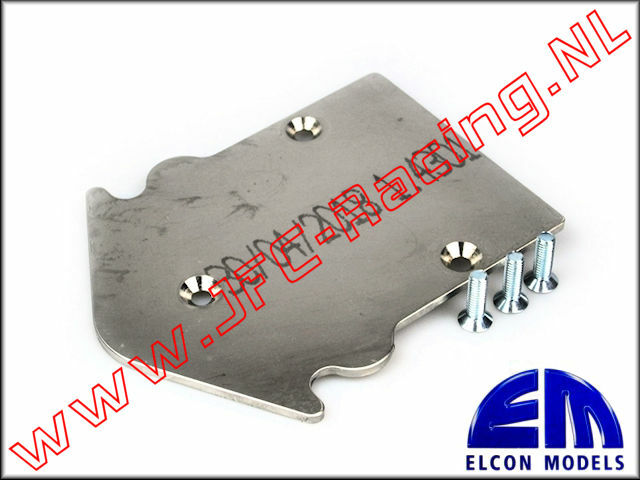 -Dimensions (L*W*H): 125,7 x 92,7 x 50,5mm. -Current Overload Protection: ≥17.5A 500MS. -USB Output: 5V / 2.1A.